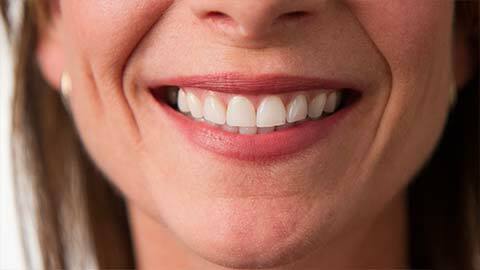 One of the leading causes of adult tooth loss is gum disease. Most people don’t like to think about gum disease, especially when they’re faced with frightening pictures and statistics. But the reality is that most gum disease is preventable. Problems begin when tartar remains untreated, which leads to inflammation and infection in the gum tissues. That infection, if left unchecked, destroys the gum tissue, leading to pain and lost teeth. The first stage of prevention is practicing good oral hygiene, both at home and with regular visits to your dentist. Brushing, flossing, and regular professional cleanings and other treatments will normally keep gum disease at bay. However, if gum disease does rear its ugly head, we’ve got the periodontic treatments to help put you back on the road to oral health. Scaling and root planing is the process of removing plaque from the tooth that sits below the gumline. Scaling is the regular term for plaque removal; in fact, you’ve probably heard us talk about it at your regular cleanings. Periodontic scaling is deeper, removing plaque, tartar, and diseased tissue from beneath the gums. Root planing goes even further, repeating the same process as far down as the roots of the teeth. Tooth extraction is sometimes a necessity when gum disease has damaged or loosened a tooth to a critical degree. In these cases, extraction benefits the remaining tissues. When you’re in need of periodontic care, trust Rozon Family Dental to help you meet those challenges with skill and care.